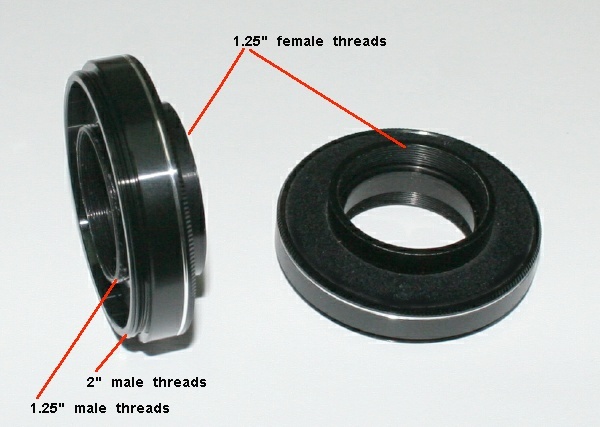 This adapter allows the use of 1.25" filters in 2" filter threads. anti-reflective front and back surfaces. Price includes shipping in the USA!